An enormous circus trunk out of which the author keeps taking new literary treasures… A compassionate portrait of America in the uneasy ‘60s? Yes… Gardner explores everything with love and forbearance. Madman. Prophet. Magician. Hippie. Murderer. Who is the Sunlight Man? 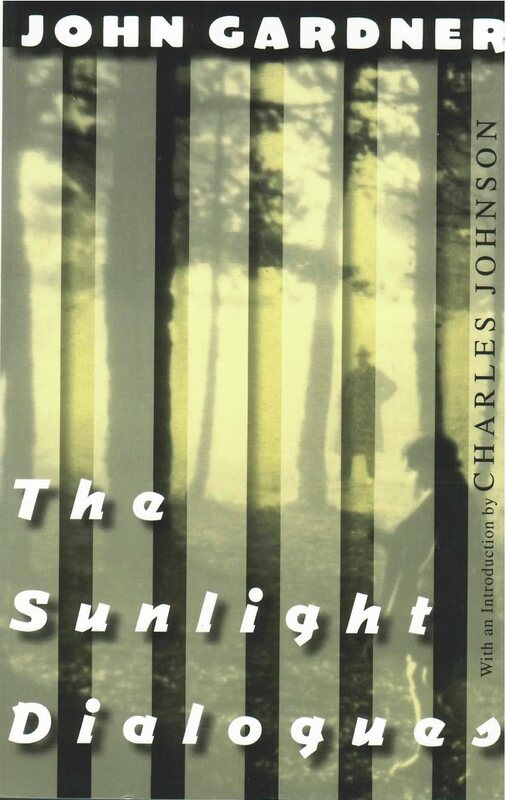 In The Sunlight Dialogues, John Gardner’s vision of America in the turbulent 1960s embraces an unconventional cast of conventional citizens in the small rural town of Batavia, New York. Sheriff Fred Clumly is trying desperately to unravel mysteries surrounding a disorderly, nameless drifter called “The Sunlight Man,” who has been jailed for painting the word “LOVE” across two lanes of traffic, and who is later suspected of murder. The men battle over morality, freedom and their opposing notions of justice, leading each to find his own state of grace. Their conflict is mirrored in the community of middlebrow politicians and their church-going wives, Native Americans, working-class immigrants, farmers, soldiers, petty thieves, and even centenarian sisters too stubborn to die. Gardner’s alchemy is existential: from the most raw, vulnerable, and conflicting characters in the American melting pot, he transmutes common denominators of human isolation and longing. With unnerving suspense, his acute ear for American speech, and permeated by his deep-rooted belief in morality, this expansive, sprawling, and ambitious novel is John Gardner’s masterpiece: “A superb literary achievement,” noted The Boston Globe.